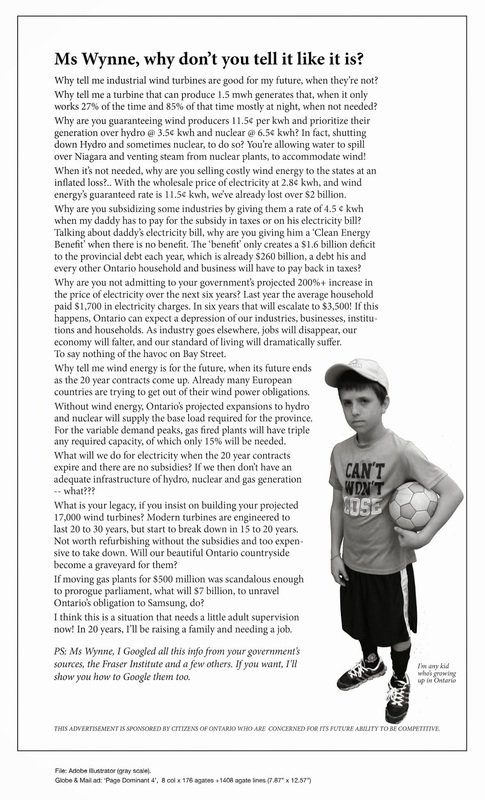 Wind Groups Dismayed by Court Ruling | Mothers Against Wind Turbines Inc.
Grey Highlands/Plympton-Wyoming – Two citizen’s groups, situated hundreds of kilometres apart in Ontario, who are both opposed to wind turbine developments, are disappointed with the decision of the Superior Court in London released on June 28th, 2016, to confirm the decisions made by the Environmental Review Tribunals (ERT) on their respective wind projects. The two groups had joined forces to appeal their respective ERT decisions. We interpret that to mean the Tribunals are required to confirm that the evidence presented at the hearing provides proof that there will be no harm to human health. At the Fohr ERT hearing, an expert medical witness for the project developer acknowledged that the current scientific evidence is insufficient to prove that wind projects will not harm nearby residents, and that additional scientific study is still needed in that regard. In effect, the provincial government has been approving wind projects without definitive scientific evidence that the projects will NOT cause harm. We believe this is not in keeping with the intent of the Environmental Protection Act which requires the developer for any non-renewable project, such as a mine or cement plant, to provide definitive proof that their project will not harm human health or the environment. Only in the case of renewable energy projects is the onus reversed; the residents must prove serious harm before the project can be stopped. Many people living close to turbines continue to complain about adverse health effects. The scientific evidence is growing to support their claims. Apathy is turning to empowerment, as affected residents are encouraged to organize together and speak with one voice. We’re not against renewable energy, but we believe such projects should NOT be located where they will cause serious disturbances and adverse health effects to nearby residents in their homes. This is not acceptable collateral damage, and it’s unfortunate this has to be such a painful lesson. While we’re disappointed with this decision, we are not discouraged from our ongoing efforts to advocate for the responsible implementation of these projects.